Welcome to Too Much Joy’s website. 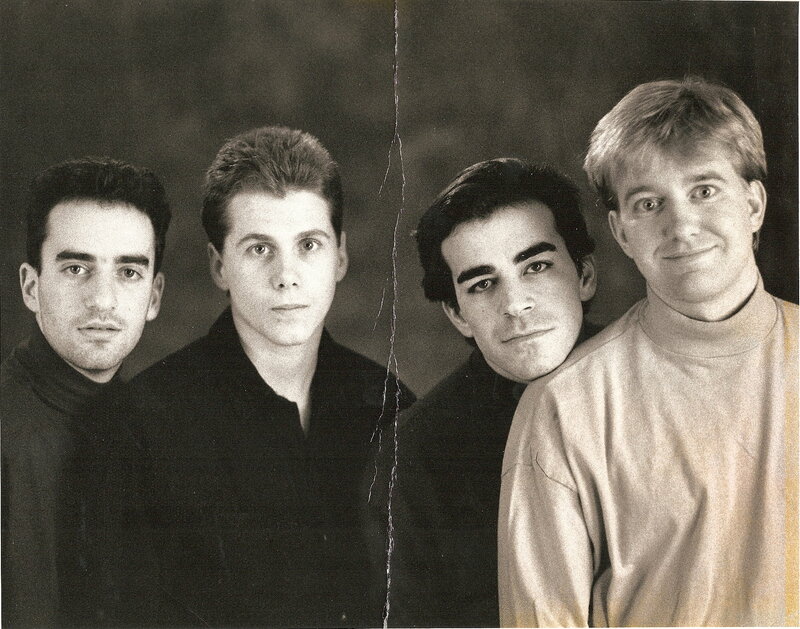 TMJ is/was a punk-pop band of some minor renown. Some of that renown was due to their music, which included semi-hits such as “Crush Story,” “Donna Everywhere,” and “That’s a Lie” — a cover of the LL Cool J tune that featured the man himself in the music video, which actually got played quite a bit during daylight hours on MTV back when they did that sort of thing. The rest of that renown was due to their tendency to have stupid things happen to them, like getting sued by Bozo the Clown, getting fan mail from Newt Gingrich, and getting detained by the Secret Service. You can play back just about every TMJ song ever on this site, for free, in their entirety (you can also buy the ones they control the rights to, as well as T-Shirts and other random merch). There are videos to watch, old articles to read, and random updates from individual band members — many of these keep you informed of what’s going on with their various side-projects, which include the Its, Surface Wound and Wonderlick. TMJ formed in the early 1980s when its members were still in high school. The initial plan was to play cover versions of Clash songs at high school dances, but no one else in the band’s hometown had apparently heard of the Clash, so they started writing their own material. They self-released their debut LP, Green Eggs and Crack, in 1987, then bounced around a bunch of indie and major labels in the ’90s. Some people enjoyed their humorous lyrics. Others detected fragile hearts beating beneath the layers of irony. Still others simply admired the band’s ability to somehow connect with an audience while flailing about in a genuinely spastic and inebriated manner on stage. Jay Blumenfield sang and played guitar. Tim Quirk stood in the middle and screamed. Sandy Smallens played bass and sang until 1994. Tommy Vinton played drums and bitched about being the only one with a legitimate day job. William Wittman played bass and sang after Sandy left the band.